Born in London, Ontario, Elaine Keillor received the Associate (ARCT) piano performance degree from the Royal Conservatory of Music (Toronto) with all of the theory exams completed at the age of ten, a record that stood for over six decades. Becoming the first woman to receive a Ph.D. in musicology from the University of Toronto, Dr. Elaine Keillor has performed in recitals and as soloist with orchestra on piano and harpsichord throughout North America and in Europe. After teaching at the University of Toronto, York, Queen’s, and McMaster Universities, she has been since 1977 a professor at Carleton University, Ottawa, lecturing on Baroque, Classical periods, Canadian musics, ethnomusicology, keyboard performance and literature. As principal investigator of the Canadian Musical Heritage Society, Dr. Keillor edited Piano Music I (1983). Piano Music II (1986), Music for Orchestra (1994), and Music for Orchestra III (1995). She is also the author of John Weinzweig: The Radical Romantic of Canada (Scarecrow Press, 1994), Music in Canada: Capturing Landscape and Diversity (McGill/Queen’s Press, 2006; paperback, 2008), plus numerous essays in compilations, periodicals, and encyclopedias including the Encyclopedia of Music in Canada, The Canadian Encyclopedia, New Grove Dictionary, Die Musik in Geschichte und Gegenwart, and The Garland Encyclopedia of World Music. Her latest book publication as principal author was the Encyclopedia of Native American Music of North America (2013). In January 1999 she was the inaugural recipient of the Canadian Women’s Mentor Award in the “Arts and Culture” category. Keillor was the 2004 Helmut Kallmann Award recipient for Distinguished Service relating to music libraries and archives, for outstanding contributions in documenting and improving access to resources in Canadian music. In 2009 the Canadian Music Centre named her one of 50 Ambassadors for Canadian music. Dr. Keillor received the SOCAN Foundation 2013 Award of Excellence for the Advancement of Research in Canadian Music. Being the team leader for their production Keillor invites visitors to the websites, www.native-drums.ca, www.native-dance.ca to explore the musical expressions of the First Peoples within Canada. When Music Sounds: Canadian Cello Music – Coulthard, Weinzweig, Guerrero, Archer. With Joan Harrison, cello. NAXOS 9.70126, 2014. Poetic Sketches. Centrediscs CMCCD 21615, 2015. Narratives on Life: Music for Cello and Piano – Srul Irving Glick, Steven Gellman, Hélène Riese Liebmann, Maurice Gardner. With Joan Harrison, cello. Marquis 81467, 2015. Pianist Elaine Keillor needs no introduction as a champion of Canadian music. She previously premiered the pieces by Miller and Weinzweig on this disc (and, incidentally, published a book- length study of Weinzweig back in the mid-1990s); and she was also a co-performer, twenty- five years ago, in the premiere of another piece by Patrick Cardy, Quant je suis mis, a short work for voice and piano. It is clear from her performances on the CD that she still enjoys coaxing sounds out of a piano—there is a wonderful spectrum of nuance, and a sense of discovery and adventure here, born out of a lifetime of experience as a pianist and musical thinker. Those composers who are still living will surely be thrilled with this album. John Weinzweig and His Music: the Radical Romantic of Canada. Metuchen, NJ: Scarecrow Press, 1994. xviii, 316 pp. Music in Canada: Capturing Landscape and Diversity. McGill-Queen’s University Press, 2006, x, 499 pp. Paperback edition, 2008. Encyclopedia of Native American Music of North America, (Assisted with advice from Timothy Archambault and Dr. John Medicine Horse Kelly), Santa Barbara, California: Greenwood Press ABC-CLIO, 2013. “Musical Activity in Canada’s New Capital City in the 1870s” in Musical Canada: Words and Music Honouring Helmut Kallmann, editors, John Beckwith and Frederick A. Hall, Toronto, 1988, pp. 115-133. “Indigenous Music as a Compositional Source: Parallels and Contrasts in Canadian and American Music,” in Taking a Stand: Essays in Honour of John Beckwith, editor, T. McGee, Toronto: University of Toronto Press, 1995, pp. 185-218. “Auf Kanadischer Welle: The Establishment of the Germanic Musical Canon in Canada” in Kanada-Studien: Music in Canada, vol. 1,. Bochum: Brockmeyer, 1997, pp. 49 – 76. “The Canadian Soundscape” in Profiles of Canada, Second edition, editors, K. G. Pryke and W. C. Soderlund, Toronto: Irwin Publishing, 1998, pp. 339-368. “Ontario: Overview,” pp. 1178-87, “Sharon: ‘Make a Joyful Noise’”, pp. 136-7, and the performance of Mary Gardiner’s Mosaic included on the accompanying CD in Garland Encyclopedia of World Music, Volume III: North America, ed. Ellen Koskoff, New York/London: Garland, 2001. “The Canadian Soundscape” in Profiles of Canada, third edition, editors, Kenneth G. Pryke and Walter C. Soderlund, Toronto: Canadian Scholars’ Press, 2003, pp. 447-486. 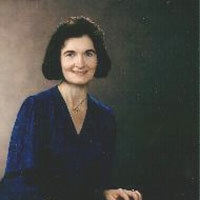 “Susan Frances Harrison,” pp. 416-426, in Women Composers Music Through the Ages, Volume 7, Composers Born 1800-1899: Vocal Music, edited by Sylvia Glickman, Martha Furman Schleifer, New Haven, CT/New York: Thomson Gale, 2003. “Barbeau as a Promotor of Folk Music Performance and Composition” in Around and About Marius Barbeau: Writings on Twentieth-Century Canadian Culture, edited by Lynda Jessup, Andrew Nurse and Gordon Smith, Canadian Museum of Civilization, Gatineau, QC, 2007: 137-155. “Barbeau encouraging ‘the study, appreciation and enjoyment of the Folk Music of Canada in all of its aspects’ (with Appendix: “Where the Society Has Been”), in Folk Music, Traditional Music, Ethnomusicology: Canadian Perspectives, Past and Present, edited by Anna Hoefnagels and Gordon E. Smith, Newcastle, UK: Cambridge Scholars Press, 2007: 241-250. “Critical Reception, Performance, and Impact of Schoenberg’s Music and Thought in Canada Prior to 1960” in I Feel the Air of Another Planet: Schoenberg’s Chamber Music, Schoenberg’s World, edited by Alan Gillmor and James Wright,Hillsdale, NY: Pendragon Press, 2009: 199-228. (With Lucy Lafferty) “Musical Expressions of the Dene: Dogrib Love and Land Songs” in Music of the First Nations: Tradition and Innovation in Native North American Music, edited by Tara Browner Urbana/Chicago: University of Illinois Press, 2009: 21-33. “Music for Radio and Film” in Weinzweig’s World, edited by John Beckwith and Brian Cherney, Waterloo: Wilfrid Laurier Press, 2011, pp. 103-127. “Alaskan Native Music” in Music in American Life: An Encyclopedia of the Songs, Styles, Stars, and Stories That Shaped Our Culture, edited by Jacqueine Edmondson, Santa Barbara, CA/Oxford, UK: Greenwood, 2013, pp. 29-32. “Dene Drums – Snares and Relationships to Vocal Projection,” in Working Papers in Dene (Athapaskan) Languages 2013, edited by Siri Tuttle, Alaska Native language Center Working Papers, Number 12, (2014), pp. 5-14. “Morawetz and Weinzweig: Looking Forward and Looking Back in Their Last Piano Compositions,” (in press) in Festschrift for Carl Morey, edited by Gordon Smith and Robin Elliott, Waterloo: Wilfrid Laurier Press. “ Principles of Indigenous Pedagogy and Putting Them into Practice,” co-authored with John Medicine Horse Kelly, (in press) in The Wisdom of the Many – Key Issues in Arts Education: International Yearbook for Research in Arts Education, edited by Shifra Schonmann. “Amerindians at the Rodeos and Their Music,” in Contemporary Indigenous Popular Music in North America, Karl Neuenfeldt, ed. The World of Music: Journal of the Department of Ethnomusicology Otto-Friedrich University of Bamberg,vol. 44/1 (2002): 75-94. “Marius Barbeau and His Performers,” The Canadian Journal for Traditional Music 31 (2004): 24 – 38. “Le rababou au Québec: passé, présent et futur (essai sur la culture musicale québécoise). Les Cahiers de La Société québécoise de recherche en musique 10 /1 (2008): 39 – 46. “Participating in the Memorials for Helmut Kallmann.” CAML Review/Revue de L’ACBM 40/2 (August 2012): 11-13. “Dancing with the Onigoke-Algonquin,” www.native-dance.ca, posted 21 January 2007. (With Stan Louttit) “Dancing of the Anishinaabe,” www.native-dance.ca, for which Elaine Keillor was the team leader, posted 21 January 2007. “Writing for a Market: Canadian Musical Composition before the First World War,” commissioned by Library and Archives Canada, posted April 2004. “Native Drums in the Context of World Instruments,” this essay and much of the writing on the website, www.native-drums.ca was done by the team leader, Elaine Keillor, posted 21 June 2005. “The Beginning of Orchestral Music in Canada,” and co-author of “Cultural Influences and World Connections,” “Musical Structures,”, “Power of the Voice,” on the website, VMC Learning Collection of the National Arts Centre, www.artsalive.ca/collections/nacmusicbox/en/#1/search.php, posted May 2010. The SAGE Encyclopedia of Ethnomusicology . Solo pianist: 24 CDs for Musicworks, Studea Musica, Carleton Sound, Gala, and NAXOS.